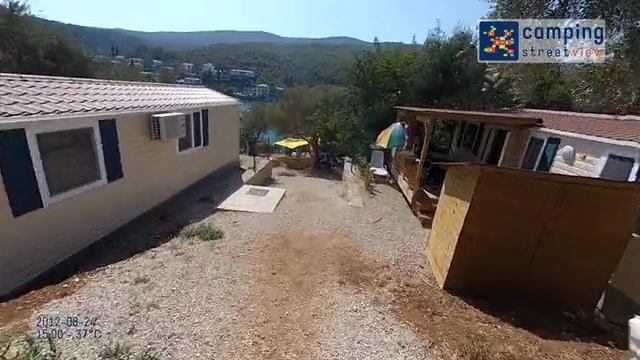 Enjoy the best conditions to select your campsite in Croatia from home! Watch Camping Street View videos and campsites just as if you were on-site! Our filming team travelled all the way to Croatia and brought back great films! 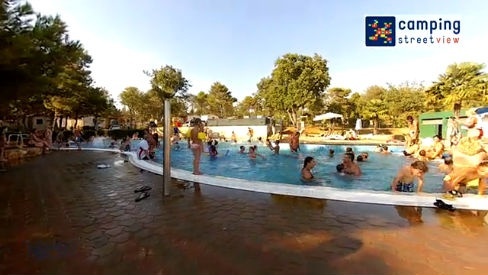 Watch videos of campsites in Croatia and select the best campsite for your next camping holidays in Croatia. From the reception desk to the bar, to camping pitches and hard rentals to the swimming-pool, visit campsites from Umag to Pakostane, lovely seaside resort. 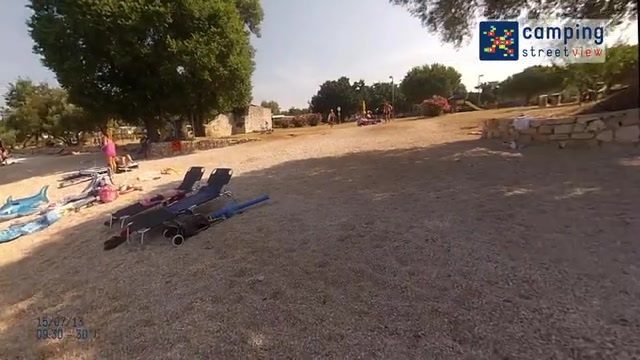 For family holidays, select a campsite on the seaside and check the video to catch a glimpse of the beach nearby! 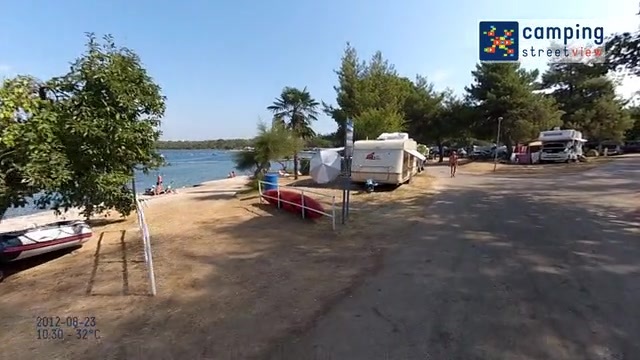 All videos of campsites in Croatia are available on Camping Street View! 4-star Camping IN Park Umag is located by the Adriatic sea, more precisely on the Istria peninsula. It is a high-quality resort set in a verdant estate planted with flowers and trees. 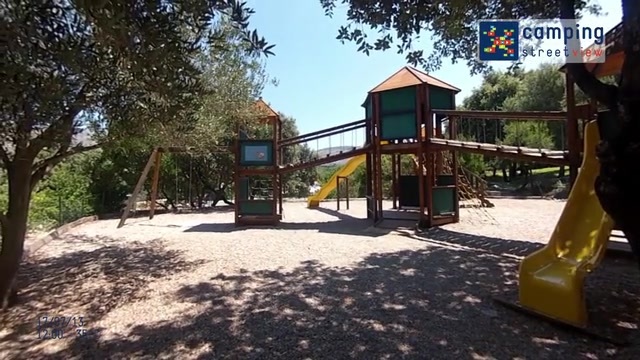 Gorgeous Istria park is next to the campsite, full of exotic plants and providing opportunities for colourful strolls. This campsite in touch with its natural envrionment offers traditional camping pitches or mobile home rentals at a stone's throw from the beach. The latter boasts a blue flag which proves it copes with environmental requirements. Perfect for family holidays, it comes with plenty of activities possibilities! A great water area with several pools awaits you for instance. It also includes a huge pirate ship for your children, many sports grounds to unwind and water aerobics, pilates, yoga classes etc. The activities staff organizes many tournaments and contests that will have you entertained so that you spend the most memorable holidays. 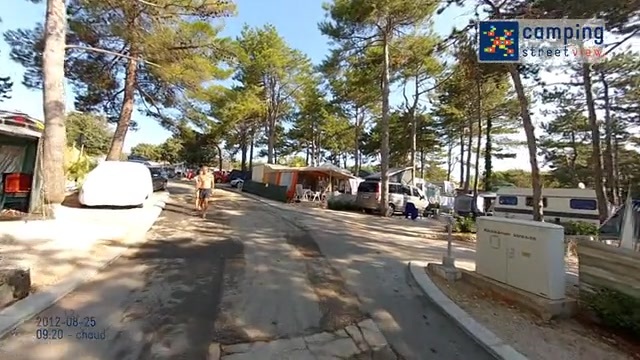 As far as services are concerned, Camping IN Park Umag is also quite exhaustive. Bakery, supermarket, fishmonger, free Wifi Internet on the whole estate, massage parlour - we're talking about a holiday resort whose only aim is to provide you with everything you might need,so you spend the best vacation!